Welcome to Week 1, Day 7 of the EBOOST Fitness Holiday Challenge! Today is a particularly fun day because we are sharing with you a recipe that can help you aid in bringing a bit more nutrition to your rest and recovery day that is Day 7 in this challenge. Day 7 is all about partaking in a very light activity that still keeps you moving but one that doesn’t stress out your body or muscles. Things like this include walking your dog, grocery shopping for your meal prepping, walking around the neighborhood, playing outside with your kids, etc. As long as you are moving and not just sitting on the couch all day or stationary, then you have achieved today’s goals. Additionally, some of the best things about the weekend is turning your alarm off and sleeping in until your body says it is time to wake up. After you have slept in and feeling extra refreshed, the next best thing about the weekend is cooking up brunch for you and your family. Today we are sharing protein pancakes 3 ways. In a medium bowl, whisk together the eggs, pumpkin, vanilla, and honey together. Then add the pumpkin pie spice and baking soda into the wet ingredients. Melt the coconut oil and then add it into the batter. Grease a large skillet and spoon the batter into the skillet to make pancakes using about 1/8 to 1/4 cup of batter. Cook on medium to medium-high heat. When a few bubbles appear, flip the pancakes once to finish cooking. Just mix together and cook in your skillet. Easy Peasy. Combine all of the ingredients in a blender. You can mix all of the ingredients together in a bowl, but the blender helps to incorporate more air to make them fluffy. On medium/medium high heat pour batter on a greased skillet, about 1/8 to 1/4 cup of batter per pancake. Top with toppings of choice. Allow to cool. Enjoy. 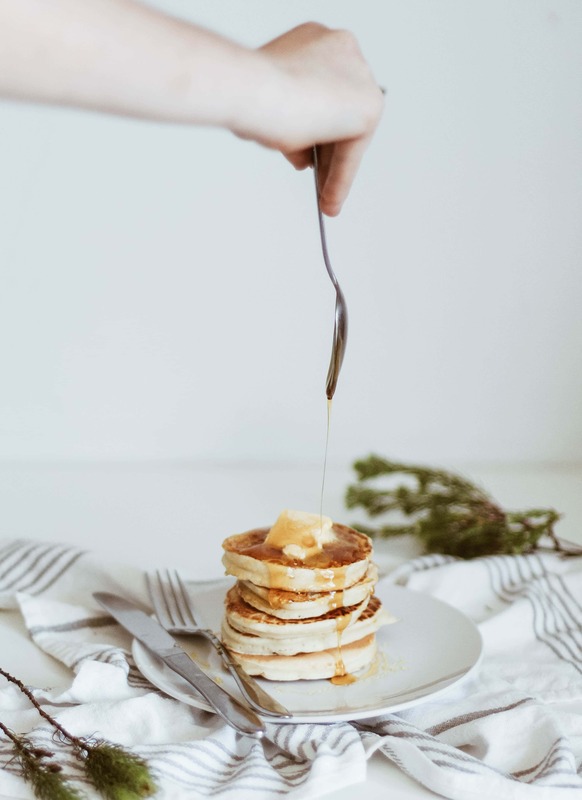 Now don’t forget to share your pictures on Instagram so we can see how you’ve devoured these pancakes today along with your active rest.